Rocket Lab counted down to the second test flight of its commercial Electron satellite launcher Monday, U.S. time, but a dramatic computer-commanded abort triggered moments after its engines ignited kept the light-class booster on its New Zealand launch pad for at least two more days. The 55-foot-tall (17-meter) Electron rocket had four hours to blast off Monday night, and the U.S.-New Zealand company’s launch team targeted 10:50 p.m. EST (0350 GMT; 4:50 p.m. New Zealand time Tuesday) after holding the countdown for unspecified reasons. A live webcast provided by Rocket Lab showed the slender, all-black, carbon-fiber launcher standing at its remote, picturesque seaside launch pad on Mahia Peninsula, which extends into the Pacific Ocean on the east coast of New Zealand’s North Island around 235 miles (380 kilometers) southeast of Auckland, home of the company’s manufacturing plant and design center. The launch team stepped through pre-flight procedures, confirming the two-stage Electron was properly configured for liftoff. A computer-controlled countdown sequencer commenced at T-minus 2 minutes to oversee the final steps of the countdown. Members of Rocket Lab’s launch team called out ignition of the first stage’s engines as the countdown ticked off the final few seconds before liftoff, followed by an abort. “Umbilicals in, power’s all up,” one member of the launch team called out over a loop broadcast on Rocket Lab’s live video stream. “Confirm Stage 1 engines have stopped,” an engineer later announced. A countdown graphic on Rocket Lab’s video feed stopped at T-minus 2 seconds. Gillies said the computer can hold a launch at any point up to the release of the launch pad’s hold-down clamps, which is programmed to occur a few seconds after engine start. The Electron’s first stage is powered by nine Rutherford engines, which consume a mixture of kerosene and liquid oxygen propellants. The Rutherford engines, developed in-house by Rocket Lab and named for the New Zealand-born nuclear physicist Ernest Rutherford, each produce nearly 4,000 pounds of thrust at sea level and use battery-powered electric pumps, replacing heavier gas-powered turbopumps used on other rocket engines. A single Rutherford engine is mounted on the Electron’s second stage. A few minutes after the abort, the launch team called off the mission for the day. “All stations, this is Flight. We are scrubbed for the day,” one of Rocket Lab’s managers said. The team kicked off procedures to drain propellants from the rocket as engineers studied the cause of the last-second abort. “After reviewing the telemetry, the data and the time remaining in our launch window, the team has decided to wave off for the rest of the day,” Gillies said shortly before the webcast ended. Rocket Lab said in a statement that weather at the New Zealand launch base is unfavorable for a launch Tuesday night, U.S. time, so officials have pushed back the flight by 48 hours. 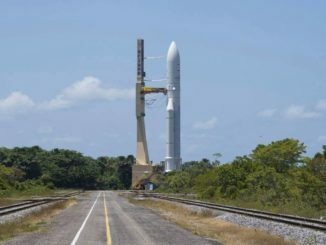 The next launch opportunity is set for no earlier than 8:30 p.m. EST Wednesday (0130 GMT; 2:30 p.m. New Zealand time Thursday), the company said. Rocket Lab has until Dec. 17 to launch the Electron rocket in its current launch period. Three shoebox-sized CubeSats built by two California-based companies — Planet and Spire — are awaiting launch inside the rocket’s payload shroud. 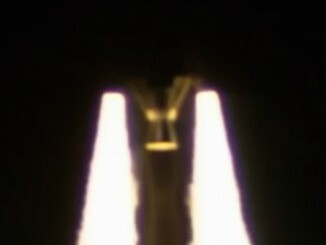 The first Electron launch, which did not carry satellite passengers, was terminated prematurely in May when an incorrectly programmed ground-based tracking device lost contact with the rocket, forcing a safety officer to send a command to end the flight by shutting off the second stage’s Rutherford engine. 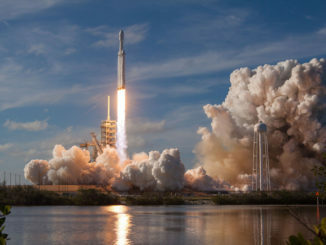 The rocket reached an altitude of 139 miles (224 kilometers) on the May 25 test flight, but did not reach the speed necessary to enter orbit around the Earth. The second test flight — dubbed “Still Testing” by Rocket Lab — will aim to release the three CubeSats in an elliptical 310-by-186 mile (500-by-300 kilometer) orbit. The light-class Electron rocket is designed to deliver small payloads to orbit, offering dedicated rides for satellites that today must launch piggyback with larger spacecraft, often at the mercy of the prime passenger’s schedule and destination. Rocket Lab says it sells Electron missions for as little as $4.9 million per launch, a fraction of the price of any other commercial launch provider.